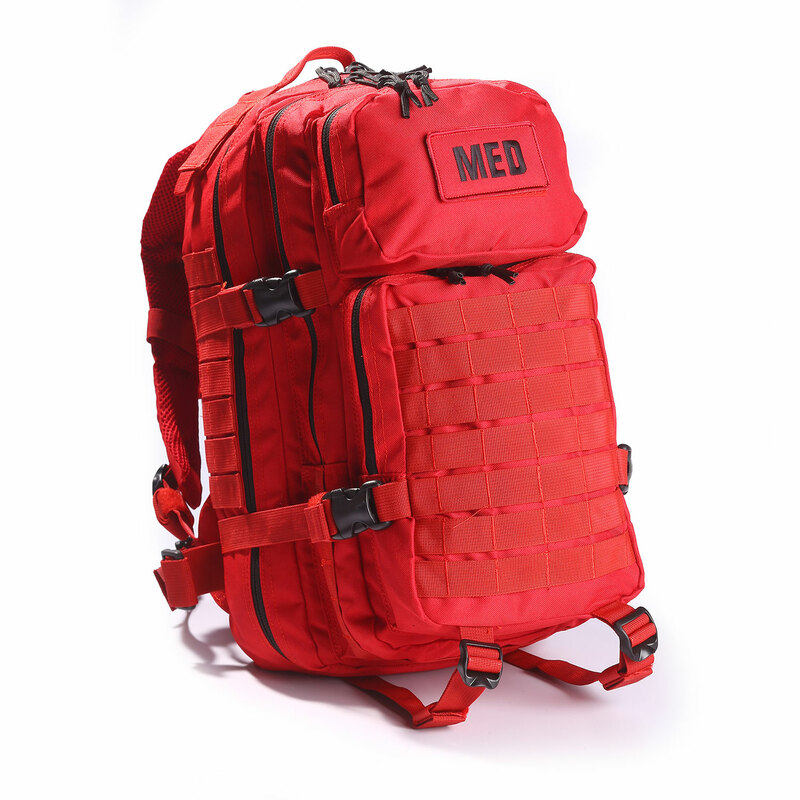 Perfect for first responders, the Elite First Aid Tactical Trauma Kit 3 is fully loaded for rapid response to medical emergencies. 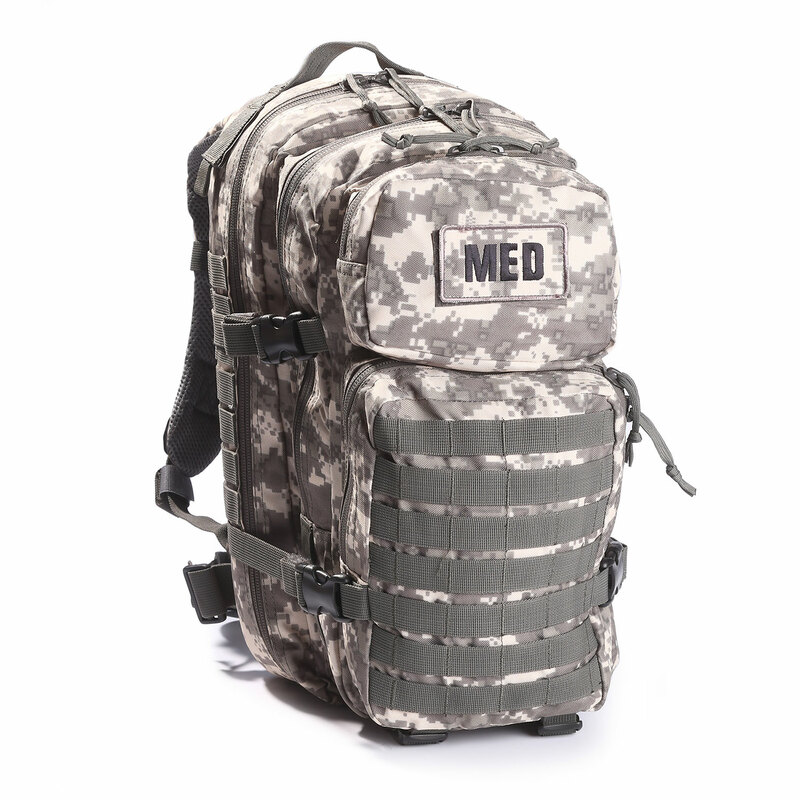 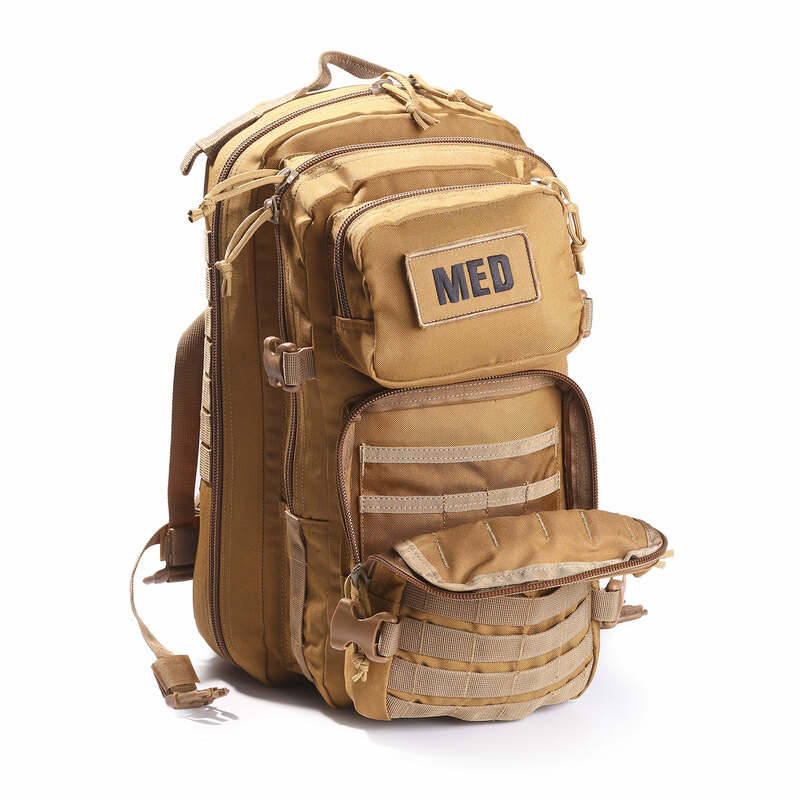 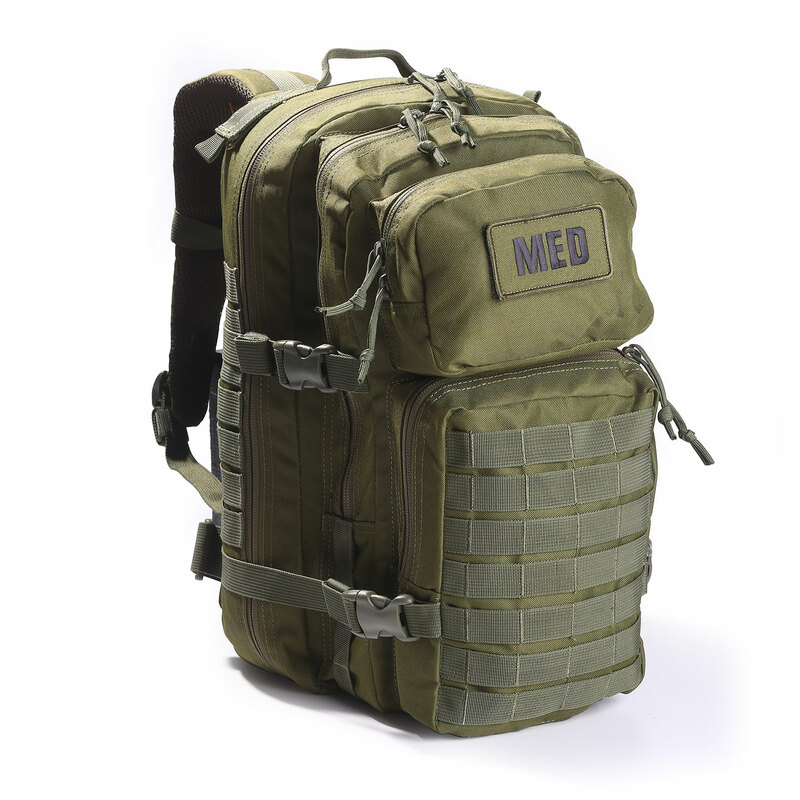 Designed by professional end-users, the pack is built from durable, high-quality nylon for lightweight and easy care. 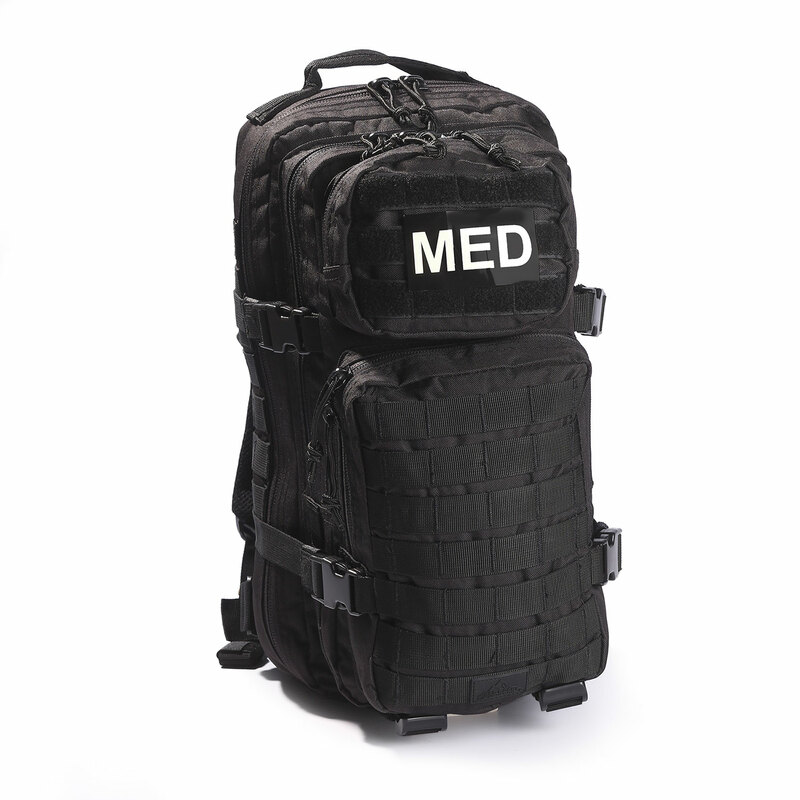 Multiple zippered compartments allow you to organize the included medical supplies to meet your specific needs. 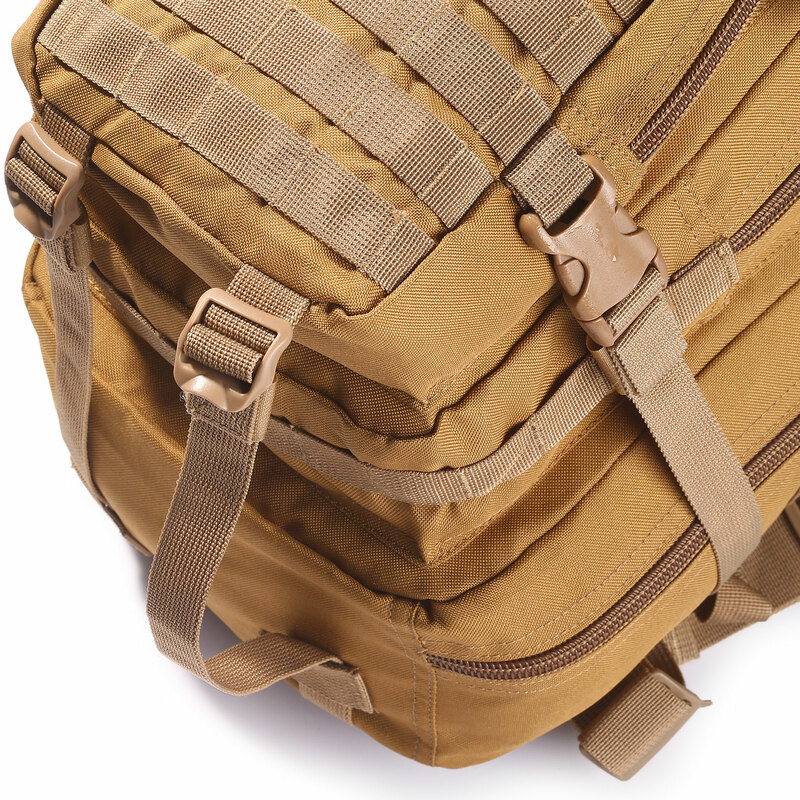 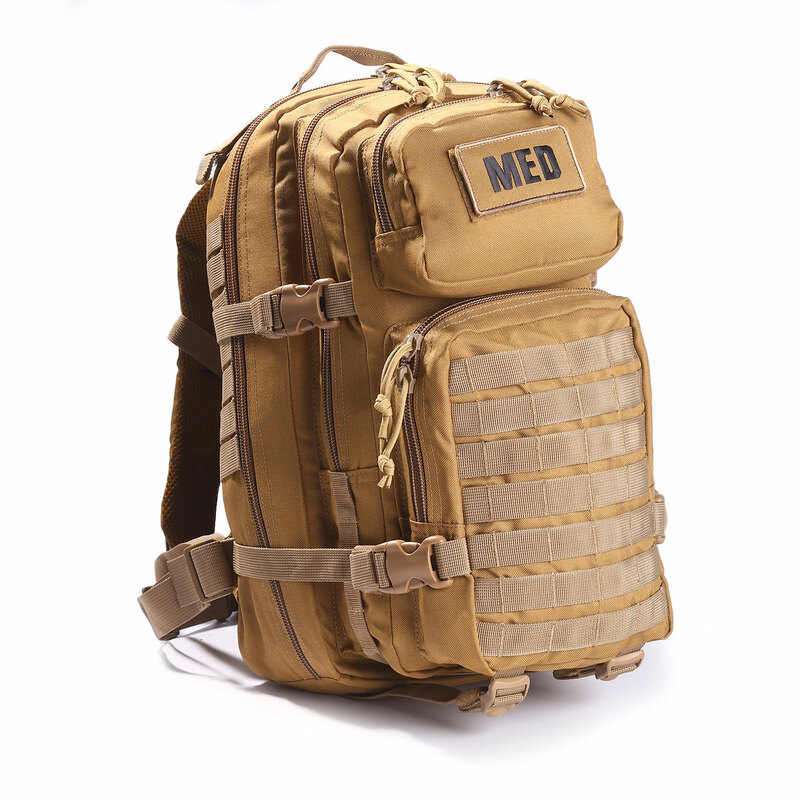 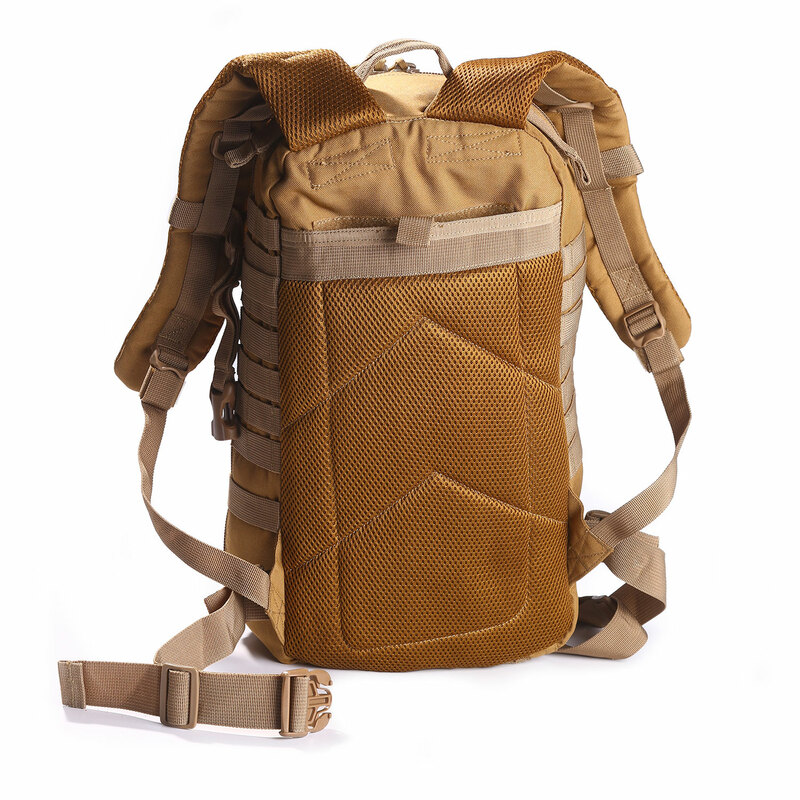 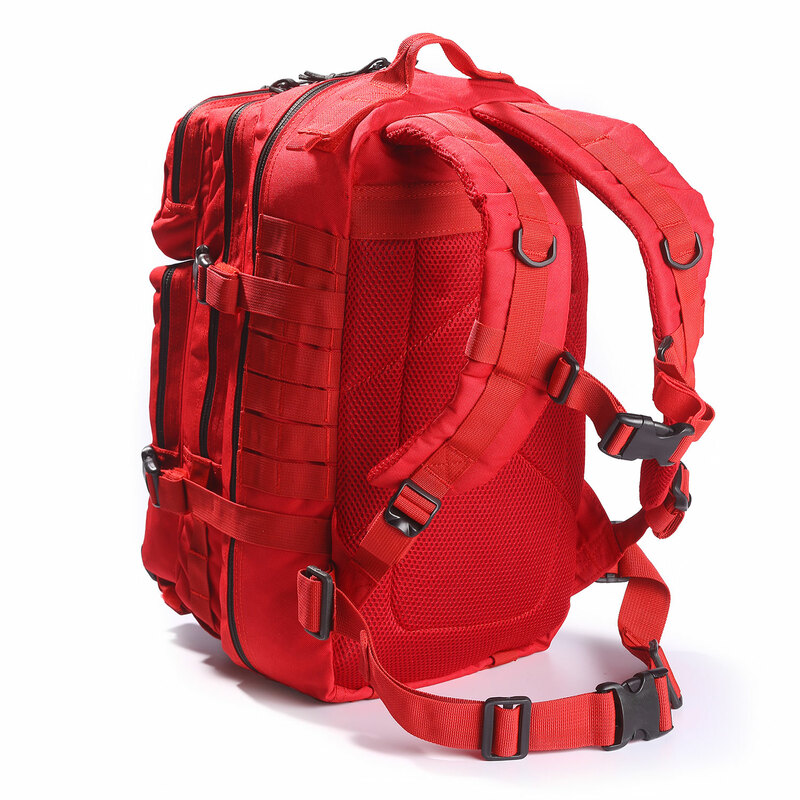 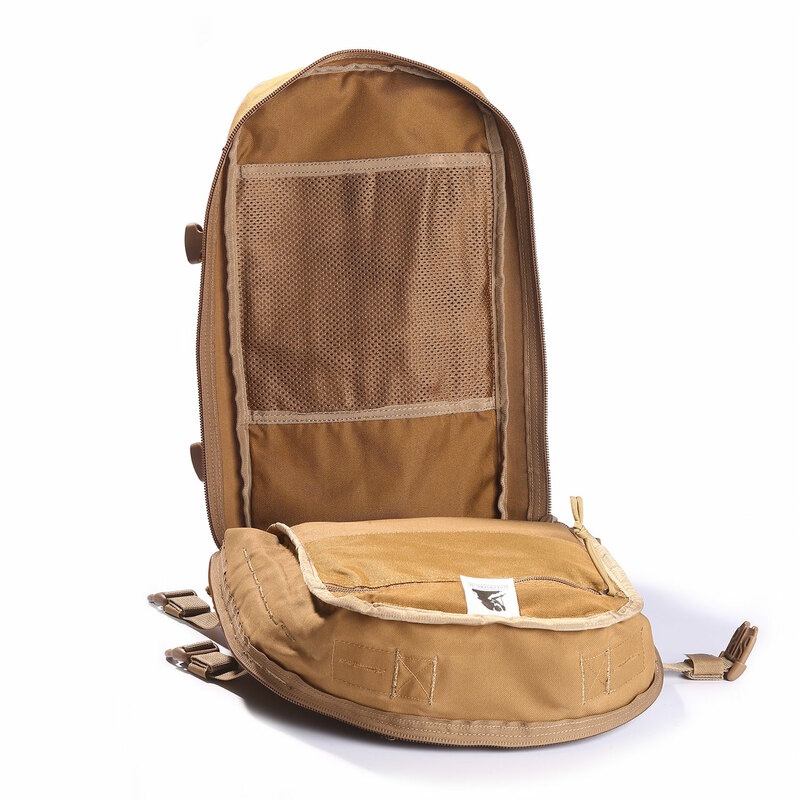 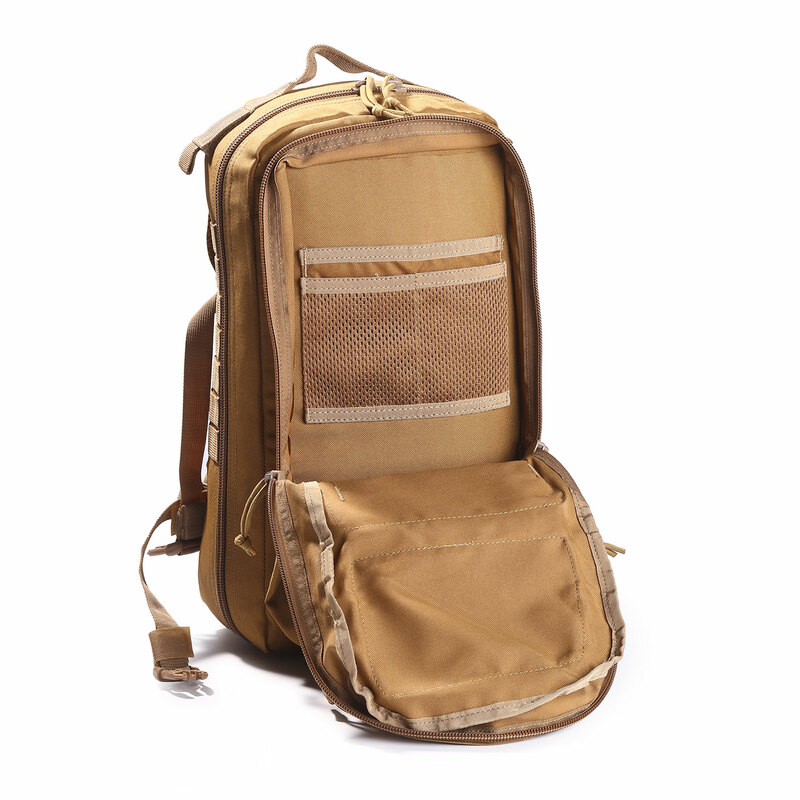 Padded straps allow comfortable carry while the exterior MOLLE webbing allows easy attachment of additional pouches. 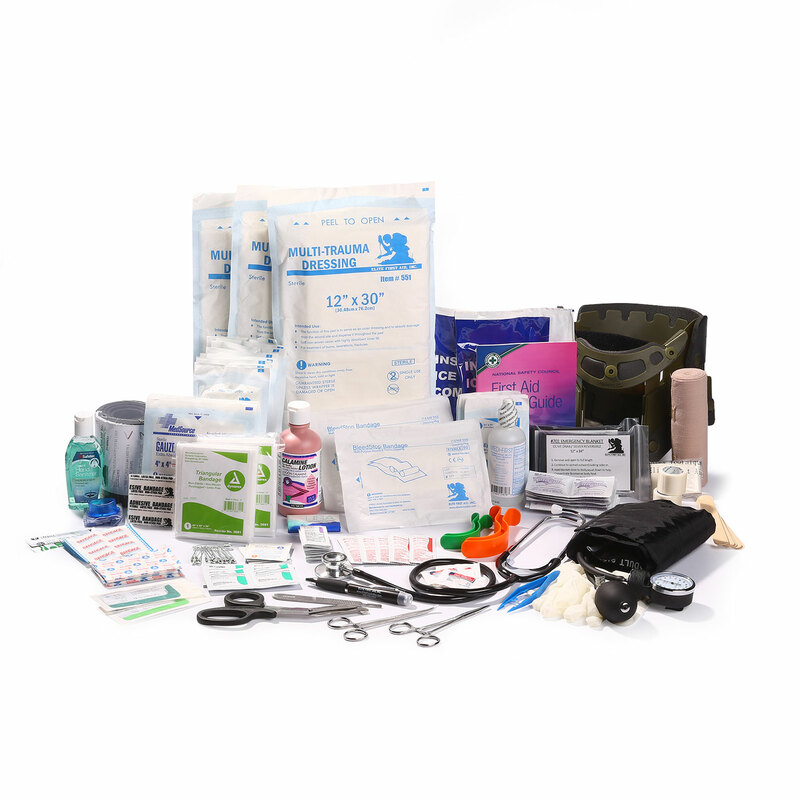 10 - Abdominal pad 5"x9"
1 - Hand sanitizer 2oz. 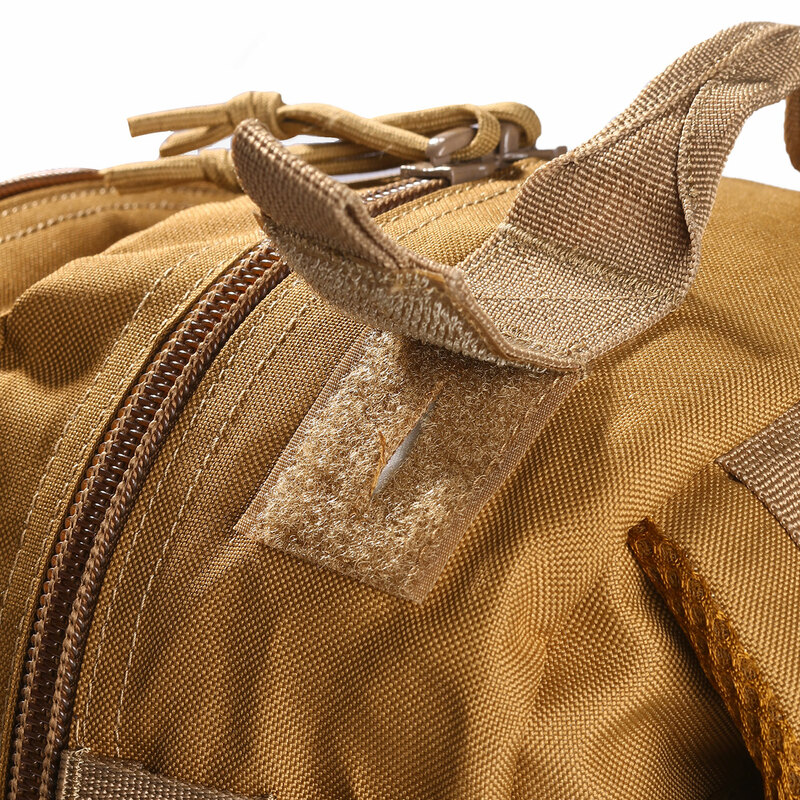 1 - Calamine lotion 6oz. 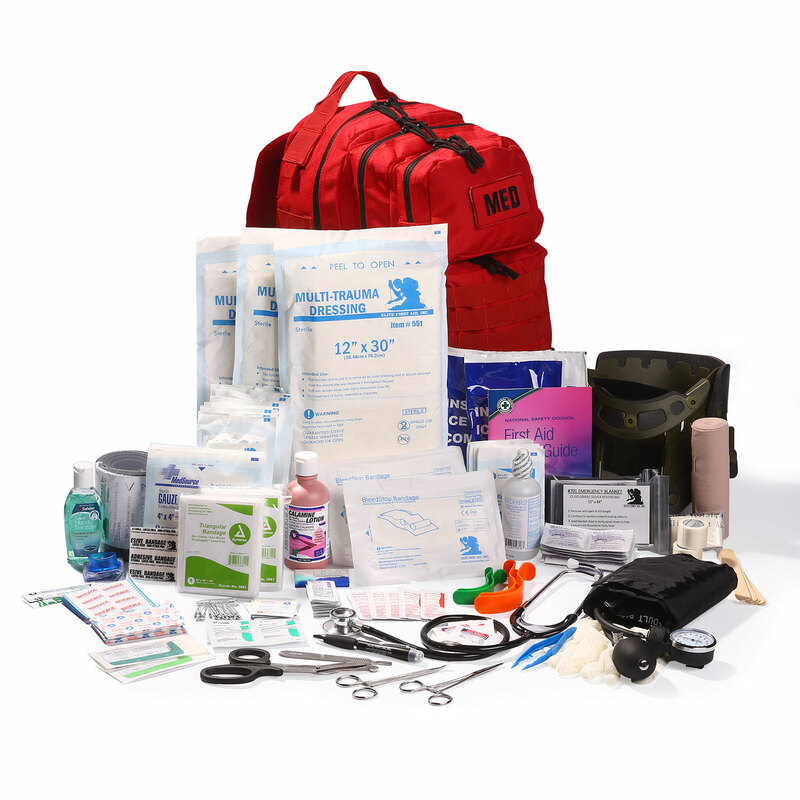 2 - Triangular bandage 40"x40"x56"